One of my favorite newish acts is back with a brand new single today! Edinburgh five piece The Machine Room wowed critics in 2012 with their shimmery indie pop on the four-song Love From A Distance ep. Today they return with the swoon-worthy single, "Sweden" which is released as part of Fandango's '12 singles' series. [London's Club Fandango is turned 12 years old in April, and to celebrate, they're releasing 12 singles - one at a time for 12 consecutive months - featuring some of their favorite new acts.] 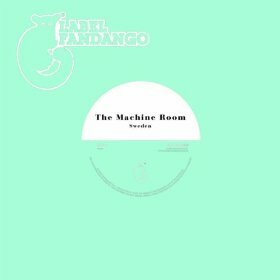 If you've heard The Machine Room before, it should come as no surprise that they were chosen as part of the singles series, because they really are THAT good. Download "Sweden" now through iTunes and Amazon. U.K. peeps can also subscribe to receive all 12 singles in the series by ordering the singles subscription directly from Club Fandango. However you do it, just do it. SERIOUSLY, IT'S LESS THAN A DOLLAR FOR THE DOWNLOAD AND IT WILL BRING YOU SO MUCH JOY. Stream "Sweden" over at Soundcloud. Catch up with The Machine Room on Facebook and Twitter, and if you haven't checked out the Love From A Distance ep, remedy that immediately. Stream it over on Bandcamp, and purchase through iTunes or Amazon.